With the season drawing to a close and Chelsea all but guaranteed of a Champions League spot for next season many fans will be putting together their transfer wish lists of players they would like to see at Stamford Bridge next year. Antonio Conte will rightly be concentrating on the remaining games and the prospect of a league and cup double in his first season in charge. They may be the best tip for that double with the current squad but who might be arriving in the summer to boost the Blues’ chances in next season’s Champions League? 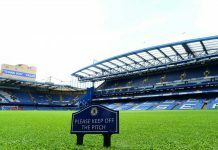 In an ideal world, Chelsea’s top players would not be looking to move after a season that could end in a haul of trophies. 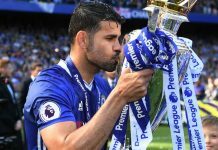 But consistent rumours suggest that Diego Costa may well be leaving in the summer. There a few players that would be ideal replacements however. Romelu Lukaku is apparently interested in a return to the club he left three years ago and after the season he’s had he would be a great addition. And he’ll still only be 24 when the season kicks off in August. Arsenal’s Alexis Sanchez has been rumoured to be making the switch across London and the prospect of Champions League football could be a deciding factor on the Chilean becoming a Blue. It seems very likely that after their exploits in Ligue 1 and this year’s Champions League that the Monaco squad will be decimated in the summer with a number of their top stars leaving. Although current wonder kid Mbappé may decide to stay another season in the principality there is still Bakayoko, Mendy and Lemar for Conte to consider. 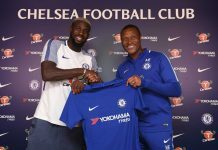 Bakayoko in particular would be a great addition to the squad and has been heavily linked with a move. John Terry has already announced his departure at the end of the season but hasn’t figured heavily this term so won’t be a massive loss on the pitch. But boosting the defensive element of the squad would be a good idea to challenge in Europe. Real Madrid’s Pepe would be available on a Bosman in the summer and could be used as back up to what is already available. He is 34 now but his experience could help. A better signing though would be Barcelona’s left back Jordi Alba who could be persuaded by former teammates Pedro and Fabregas to move to England. It is unthinkable that Conte will not add to his squad in the summer with an eye to push for Champions League glory next season but the current Chelsea squad is one of the strongest we have seen for a while. 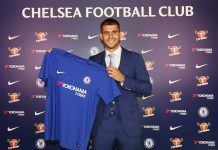 What the club really need to make sure of is that they keep hold of Eden Hazard – who has been heavily linked with a move away – or then there really will be a need for new star players. But with players of the calibre of N’Golo Kanté, Victor Moses, David Luiz and César Azpilicueta all performing to the levels they have achieved this season, any new additions would have to be of a very high quality to displace the current first eleven.